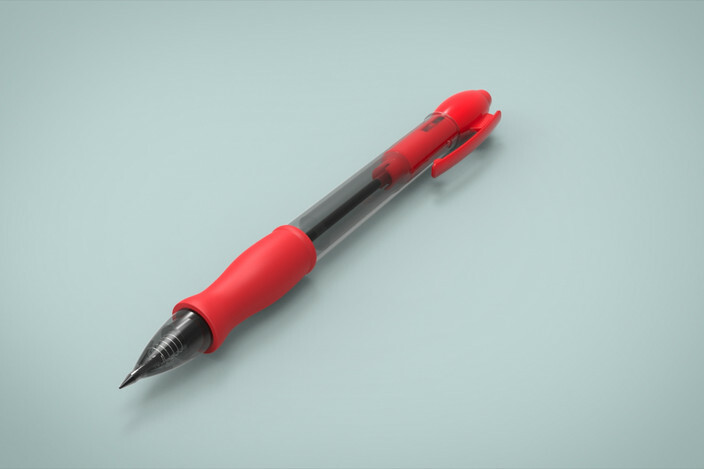 Last start up the speed render contests again, with this pen that has chosen by the winner of contest #6, red_orca. Do your best render of it in two hours! 50 min: applying material and circular model pattern. Image is straight from screenshot since the render result is too bright on certain part (still don't know what the culprit is). Having so much fun with this model. Just can't stop. That gold one's pretty mean! Really good detail getting the slight reflection in the ink. Pretty sick model. Agree with Bronson. Alright. I'm curious now. How'd you get the gel pen effect in the ink well? I tried to figure out how to do the same and failed, hah. Nice render. Really like the dark environment & 007 theme. Thanks! Fantastic man. Makes perfect sense. Nice solution though. Looks so convincing! Good to see some entries! When that's said, I want to ask if somebody is up for running these speed render contest the next couple of month? Unfortunately I have to go back and forth to the hospital and won't be able to keep it up in that period. I don't mind doing it since I'm [nearly] always available. I need to learn how to do the whole vote thing. Also, what's the calendar like? Mon-Mon for entries, then Mon-Mon for voting? Here it is! The new Blade executive series!